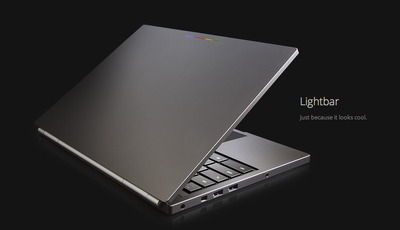 Google unveiled its latest laptop today, the Chromebook Pixel. 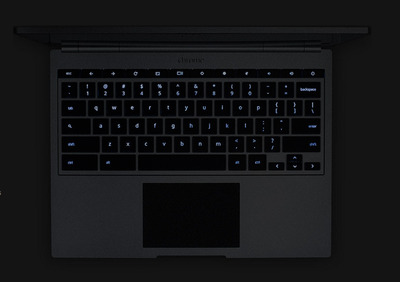 The Chromebook runs Google’s Chrome operating System, which is pretty much just the Chrome Web browser. There’s also a classic-looking desktop mode that stores icons for your Web apps. The Pixel is marketed as a premium device and starts at a whopping $1,299, placing it in direct competition with high end Windows Ultrabooks and Apple’s MacBooks. 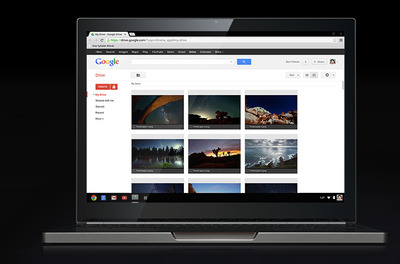 The Chromebook Pixel comes with a massive 1TB of cloud storage space via Google’s Drive service. There is also a LTE version of the laptop available for $1,449. 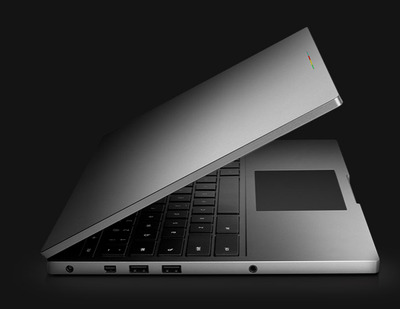 The Chromebook Pixel is 16.2 millimeters thin. ...and it weighs in at 3.34 pounds. Some specs: There are two USB 2.0 ports, a mini display port, and SD card port for more storage. You also get a 32GB solid state drive (64GB on the LTE version). Google says the Pixel's piano hinge makes it easier to open and close the computer with a single finger. It also boosts the range of the Wi-Fi antennas and keeps the machine cool. The Pixel features an Intel Core i5 processor with integrated HD graphics. The Pixel has five hours of battery life. The best feature is the notebook's dazzling 2560 x 1700 resolution screen. The multitouch screen allows users to tap, pinch to zoom, and swipe. 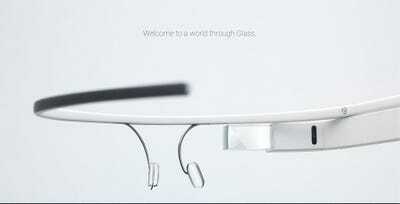 It features a 0.55 millimetre layer of Gorilla Glass, which is fused directly to the screen. Google claims that it's products like YouTube, Gmail, Hangouts, and Drive really shine on the high-resolution screen. 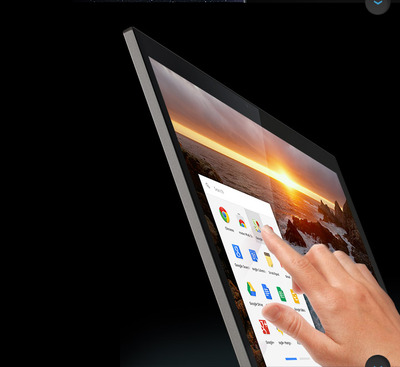 There's a backlit keyboard and the trackpad is made of glass. 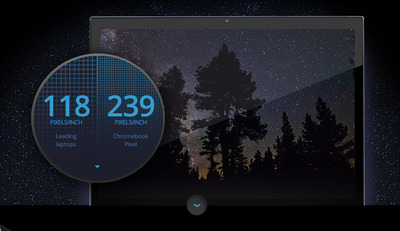 The nearly 13-inch screen is slightly larger than other Chromebooks that are typically around 11 inches. 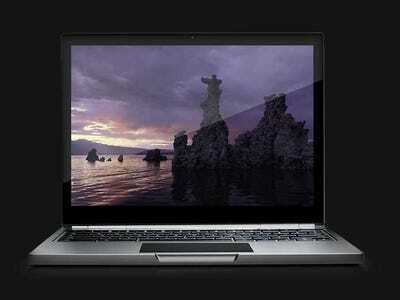 Finally...here's a video Google made about the Chromebook.